Channel 7 is celebrating its 25th Birthday. Come celebrate this great silver birthday with us on Friday, 16 November 2018. 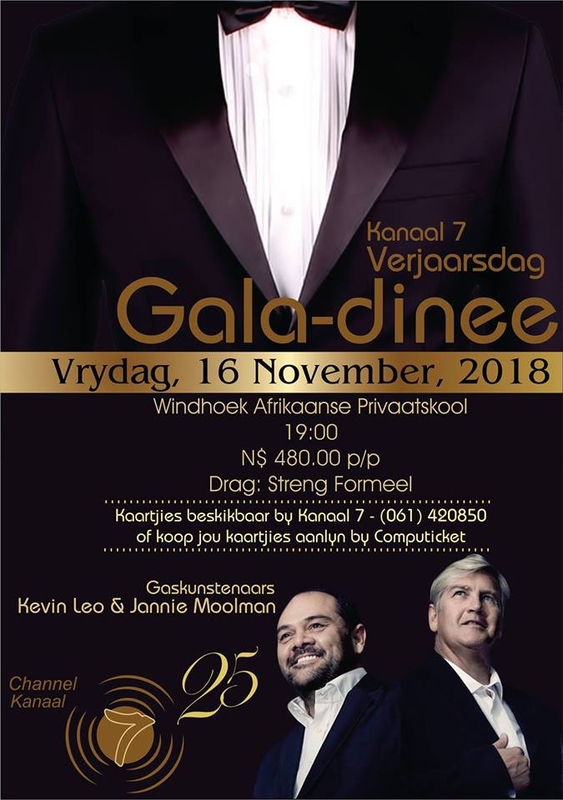 Come and enjoy a three-course meal in the company of our guest artists - Jannie Moolman and Kevin Leo. Call Kanaal 7 at (061) 420 850 for more information or to buy your tickets for this bright opportunity from Computicket Namibia.